Apart from gold’s big bugbear which some regard with such loathing they cannot bear to call it by name (starts with a b and ends in coin), the buzz at the 2017 Mines & Money conference in London was – unsurprisingly – around battery materials for the booming electric vehicle and energy storage market. Presentation after presentation featured (often overly) optimistic forecasts about how the nascent industry will fire up already hot commodities like cobalt, lithium, vanadium and manganese, and how it will spur a new supercycle in copper and nickel. But for your reporter, a company mining an ore for perhaps the most everyday commodity in mining – alumina – stole the show. Granted, there is a connection with electric vehicles but the Perth-based junior is also addressing even faster growing markets. 4N goes for an eye-watering $28,000 per tonne. And that’s the long-term contract price – spot prices in Japan for this level of purity recently hit $40,000 a tonne This is the breakthrough company of Mines & Money 2017. What made the presentation of Iggy Tan, MD of Altech Chemicals who’ve also built a lithium company, particularly impactful is its simplicity. Sapphire is formed naturally from aluminum oxide and is almost as hard as diamond. It is used in LEDs, cellphone and watch displays. To make synthetic sapphire (its transparent – the gems are blue due to presence of titanium and iron) you need high purity alumina. The current process to manufacture high purity alumina is inefficient. Bauxite, the most common alumina ore, is refined to a smelter grade of 99.5% alumina which is then turned into aluminum metal only to be dissolved back into 99.99% (4N) alumina which is of sufficient purity to make sapphire. 4N alumina is also used to make anode/cathode separators in lithium-ion batteries. ASX-listed Altech owns 100% of a kaolin deposit, a high grade aluminous clay, in Western Australia 130km from Perth’s Fremantle port. The company is bypassing the intermediate steps with plans to ship ore to a plant in Malaysia to produce 4N purity alumina. 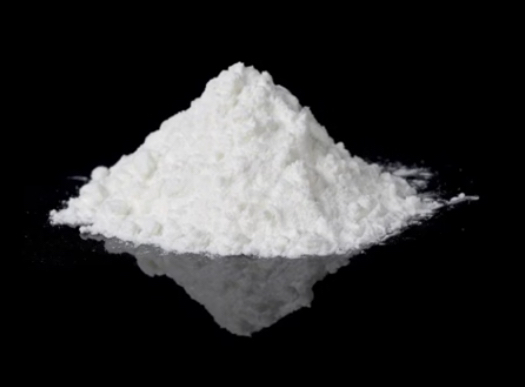 Turning kaolin (which also finds application as a whitening agent) into alumina is a process first developed by the US Bureau of Mines in the 1980s. The price gaps between different powders are stark. The smelter stuff sells for only $400 a tonne. For 99.9% (3N) alumina the price jumps to $7,000. The 4N product Altech is targeting goes for an eye-watering $28,000 per tonne. And that’s the long-term contract price – spot prices in Japan for this level of purity recently hit $40,000 a tonne. Altech says its production cost is under $10,000. It’s a small, but rapidly growing market. Global demand for high purity alumina was approximately 25,300 tonnes in 2016. Next year demand will top 34,000 tonnes. It is expected to grow at a rate of 16.7% through 2024 hitting nearly 87,000 tonnes six years from now. From a 30-year (first phase) 1.2m tonne reserve grading 30% Al2O3 Altech’s ambitions are for a 4,500 tonnes per year alumina operation. That would catapult the company to the top spot compared to current producers led by Sumitomo Chemicals of Japan with just over 3,000 tonnes per annum. Capital costs are a shade under $300m and Altech hopes to finalize a debt deal with a German bank (Germans are also building its plant in Malaysia with incentives from the government of the Asian country) next week. An off-take agreement with Japan’s Mitsubishi has already been signed.